Disclosure: This post was sponsored by Pure Leaf via Mode Media. Thanks for supporting brands that align with my values and help make TFD possible. I was compensated for my time but as always, all opinions are my own! 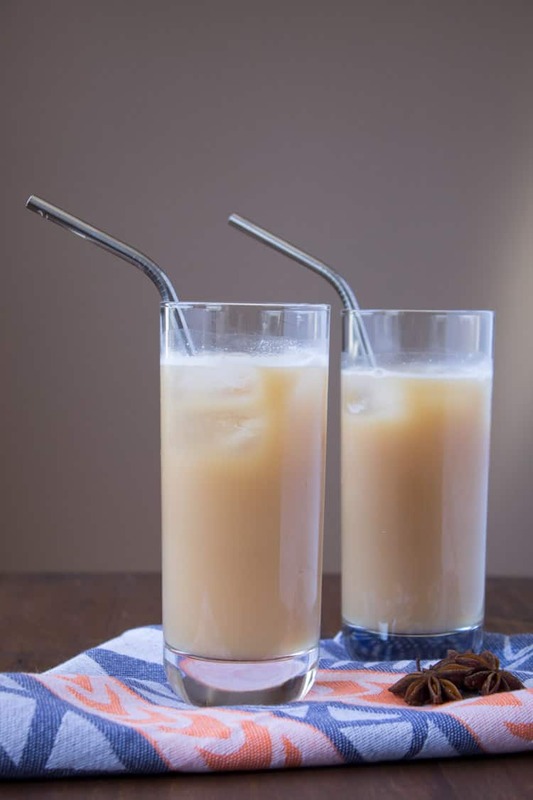 Homemade Vegan Thai Iced Tea is a refreshing treat for hot summer days. Subtly sweet with a little spice, this beverage is the perfect afternoon pick-me-up. I’m baaaaaaaaaack! Did you miss me? I missed YOU ALL. 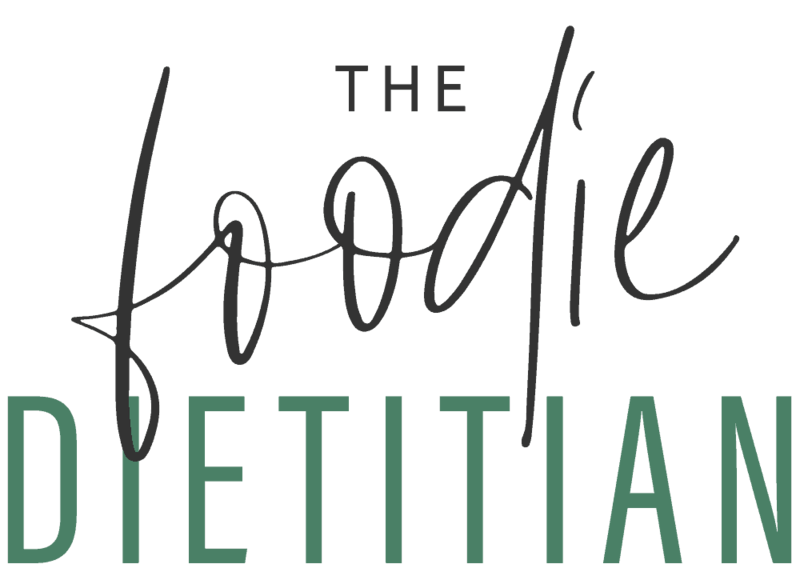 The time off did me good and was exactly what I needed to recharge and feel re-inspired to share new recipes and content with you all. I can’t wait to share some of my foodie highlights from Ireland, Paris, and Barcelona with you over the next couple weeks! Until then…pinkies up cause it’s tea time. It’s no secret that I’m an avid tea drinker. Friends who know me well know that when I say let’s grab a coffee that I really mean you can grab a coffee, Imma grab a tea. I start every day with a cup of black tea with lemon and honey and usually round out the work day with a cup of pomegranate green tea. Tea rocks. 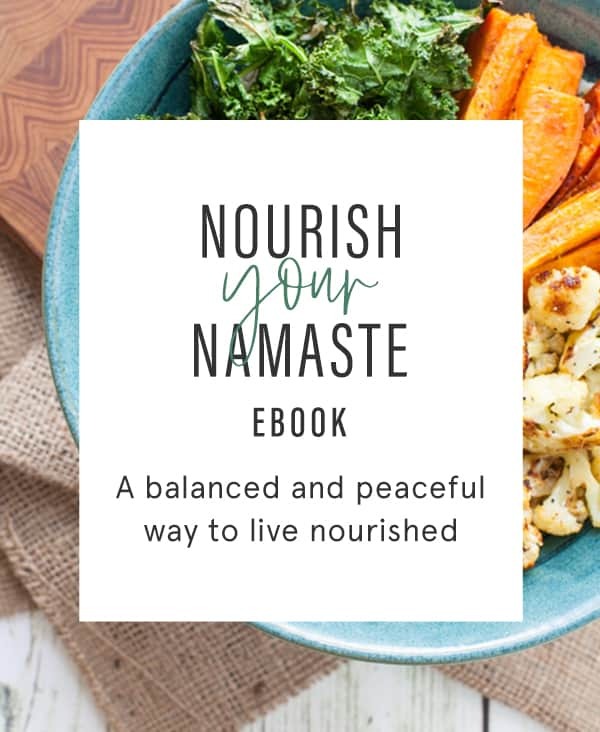 It’s packed with antioxidants and has been studied for a number of potential health benefits such as heart health, cancer, weight loss, and hydration. The most promising findings are on heart health – the flavonoids present in black and green tea have been shown to reduce incidence of heart attack and lower blood pressure and cholesterol levels. One of my favorite tea “treats” is Thai Iced Tea and I used to order it at Thai restaurants until I realized it always gave me a wicked bad stomach ache because it was way too sweet and contained too much milk. 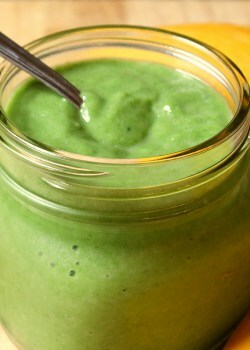 But I thought I could easily remedy this by making a homemade dairy-free version! 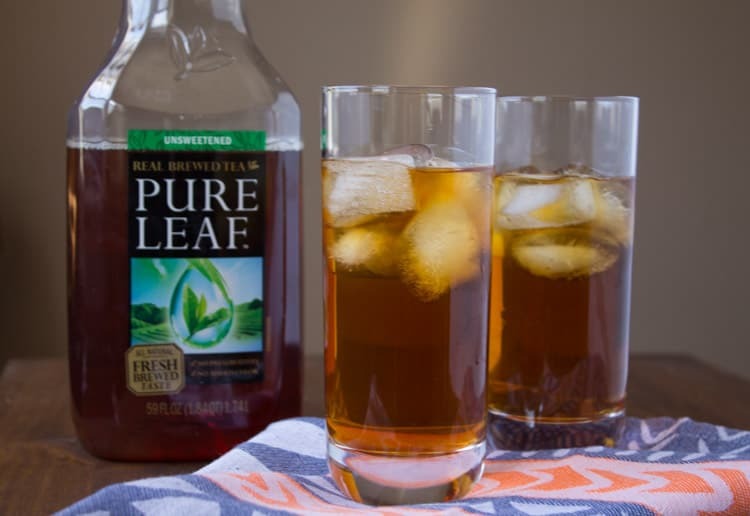 Pure Leaf Unsweetened Iced Tea to make this drink and Pure Leaf prides themselves on not using any preservatives, added color, or artificial flavors. In fact, they have a “Tea Master” who travels around the world picking the finest tea leaves for their product. (Note to self: choose Tea Master as career goal in future life). Place sugar, water, cloves, cinnamon, cardamom, and star anise into a small saucepan and bring to a boil. Lower heat and simmer for 15 minutes. Strain syrup through a sieve or cheesecloth and let cool. In a pitcher, stir together iced tea, coconut milk, simple syrup and ice. Serve immediately. 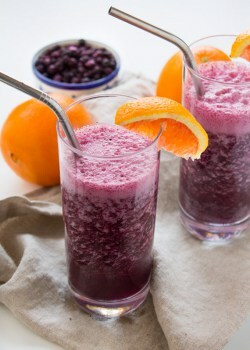 To make individual servings, combine 1 cup iced tea with ¼ cup coconut milk and 1 tbsp simple syrup. Serve over ice. Nice recipe. I realize this post has been up for a few years, but just found it. 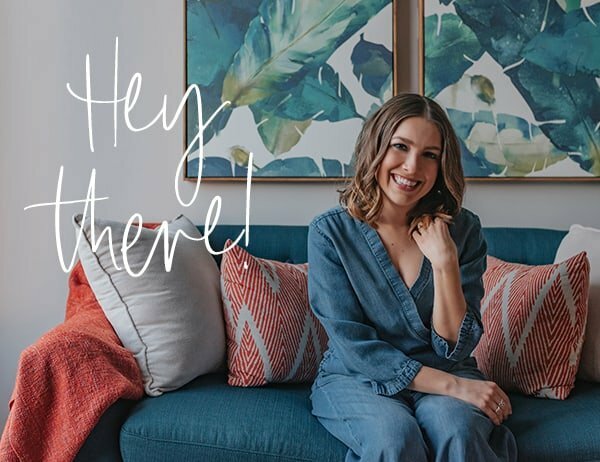 Wanted to mention…Like you said, Pure Leaf might align with some of your values, but sadly it does not behind the scenes. It’s owned by Pepsi, which has been wrapped up in issues like deforestation, pollution, obviously issues surrounding plastic and aluminum, etc. Thanks, Rebecca! Iced tea in the summer is the best. 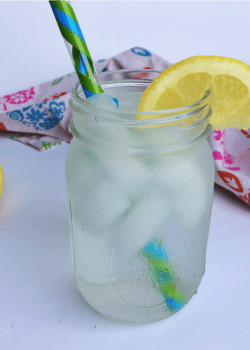 My go-to lately has been sparkling water with a splash of iced tea lemonade. I love Thai iced tea but I also find it’s usually too sweet or has way too much ice. Love your dairy-free spin on it! Way too much ice is right! I didn’t even think of that! Thanks, Gen! 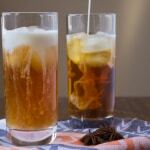 I LOVE Thai Iced tea- never thought about making it at home! Can’t wait to hear about your adventures abroad- sounded like an amazing trip! Pinned! I have a low tolerance for super sweet anything so I don’t order sweet tea or Thai Ice tea when I’m out. I will try your version. Looks delicious! Thanks, Marisa! I know, I just can’t order Thai iced tea anymore when I’m out. Even though I used to love it! 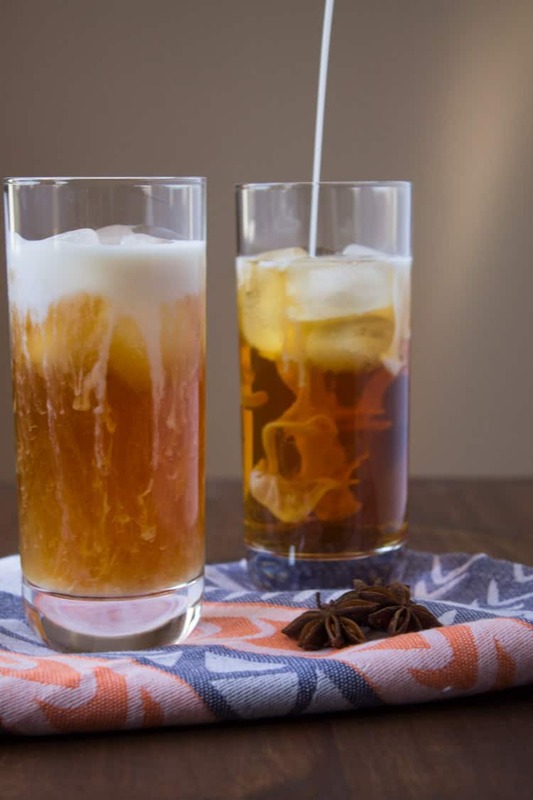 Oh yes – I love Thai iced tea but also don’t like it for the reason you made this version – can’t wait to try it! Thanks, Deanna! I’m glad I’m not the only one who doesn’t feel so hot after drinking it. Let me know what you think if you try it!